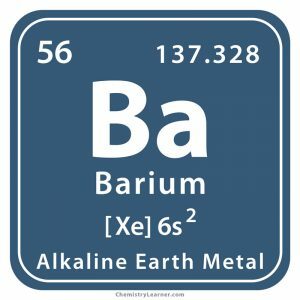 Belonging to the family of alkaline earth metals, barium (pronounced as BAR-ee-em) is a heavy metal represented by the chemical symbol Ba . 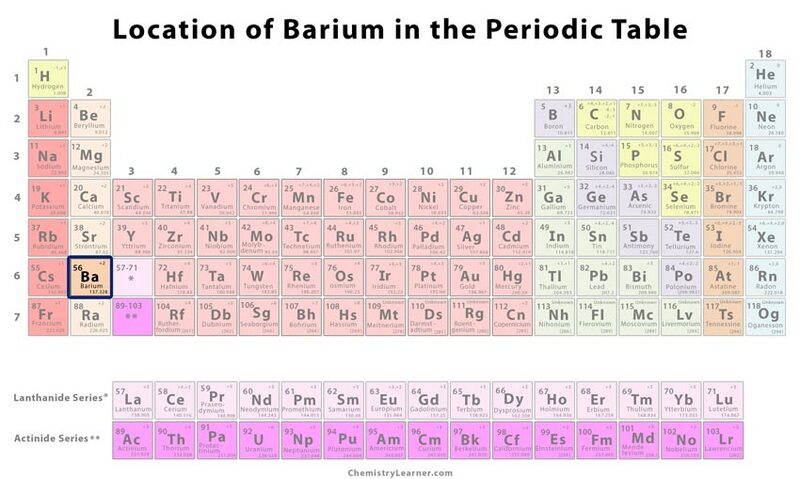 Out of the thirty-seven isotopes of barium, only seven are naturally-occurring ones with mass numbers ranging from 130 to 138 (excluding Ba-131) where barium-133 is the most stable, having a half-life of 10.51 years . 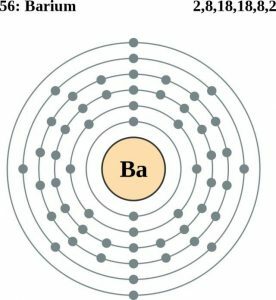 Although barium sulfate is a commonly-used contrast agent in radiological studies, it does not have any radioactive properties. The primary sources of the element are barite and witherite found in several ore deposits. It can also be produced in the laboratory by heating barium oxide with aluminum powder, and also through electrolysis of molten barium chloride . Origin of its Name: Its name is derived from the Greek word ‘barys’ which means heavy. In the early 1600s, a shoemaker called Vincenzo Casciarolo discovered some pebbles near the mountains of Bologna, Italy. He heated the pebbles till they became red hot only to find them glowing during the night. In the 1760s, Carl Scheele, a Swedish Pomeranian, and German pharmaceutical chemist found the stone to be a sulfate of an unknown element. 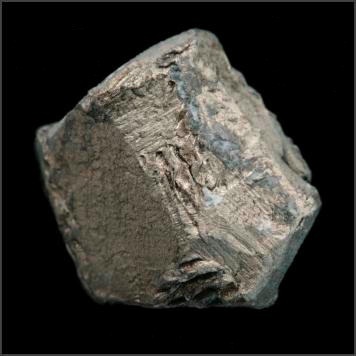 In Cumberland, an English scientist named Dr. William Withering stumbled upon an unusual mineral in a lead mine that was given the name witherite for the time being. 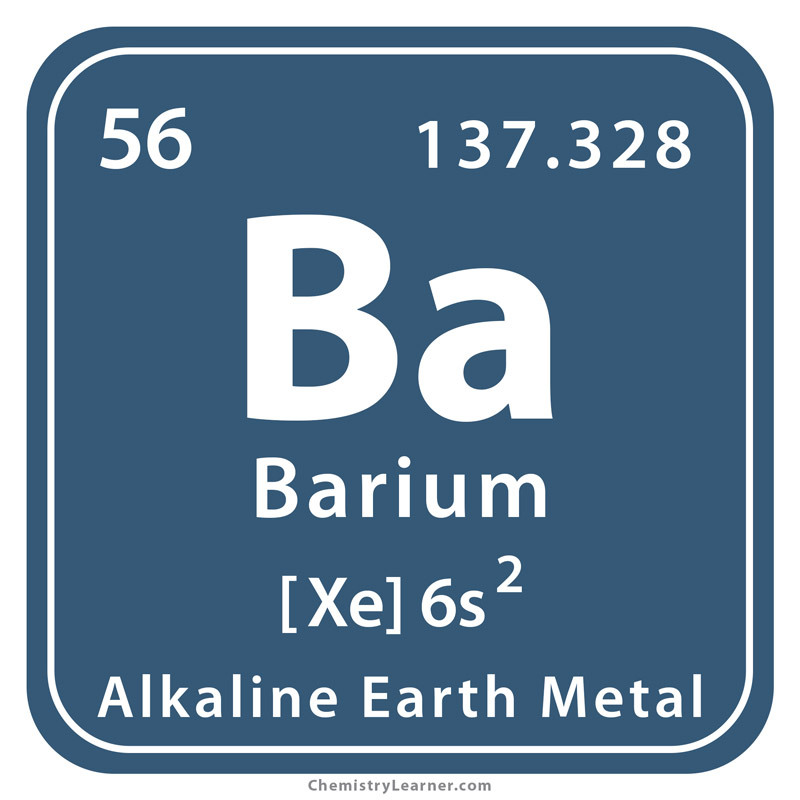 On further analysis later, it was found to be the mineral barium carbonate. The two unknown minerals were smelted with carbon to extract pure metal, but nothing could be achieved. It was only in 1808 when Davy at the Royal Institution in London carried out electrolysis of barium hydroxide to extract barium. Metallic barium is used as a getter to remove trace gases from vacuum tubes. Although all compounds of the element have toxic effects, barium sulfate is used as a contrast dye to conduct a swallow test that involves an X-ray of the digestive system to detect conditions like ulcerative colitis, tumors, and polyps . Ingestion of barium compounds may cause mild side effects like nausea, vomiting, and abdominal cramps. However, barium poisoning has been related to kidney damage, cardiac-related issues, and low blood potassium levels. Inhalation of the same may have similar health effects as seen in some animal studies . 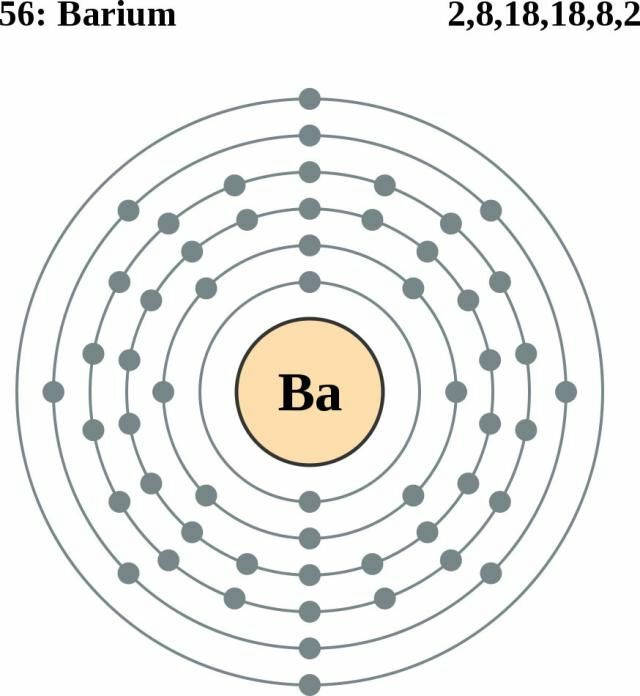 Barium-137m, a radioactive isotope of Ba formed by the decay of cesium-137, is used to conduct half-life determination experiments at high school and college physic laboratories . The cost of pure barium may vary between $55 and $60 per 100 grams.